Due to an overwhelming increase in our customer base Animal Mama is looking to hire several qualified veterinarians to be based in Cambodia. Animal Mama is an animal hospital and wellness center and we pride ourselves on our close relationships with our clients and beneficiaries. We aim to provide the highest standard of service to our clients, their animals and our rescues. We pride ourselves to be the best equipped animal hospital with Digital X-ray, Digital Ultrasound, Digital Microscope, Biochemistry Machine, Hematology Machine, Veterinary Information System, Gas Anesthesia Machine, Infusion pumps etc. We can humbly say that we are one of a kind hospital in the Kingdom of Cambodia. We currently are seeking additional Veterinary Doctors to join our team! He/She will be based in Phnom Pehn, with an opportunity to be based in Siem Reap with the coming expansion of the hospital in the north. Applicants must be looking for a unique challenge in their field of work, must be team players, people oriented, able to communicate clearly with clients &amp; support staff, and willing to think outside of the box. Knowledge in using Digital X-Ray, Ultrasound Machine &amp; Blood Analysis Machines. Good grasp in parasitology and microscope analysis is a huge plus. Well-developed customer service skills and experience. Shelter work &amp; street animal rescue experience is a huge plus. Friendly personality combined with confidence to communicate effectively with our valued client base. Strong team player. Good command of English is a must. Eagerness to learn and ability to adapt to changing priorities calmly and efficiently. Many opportunities for professional growth and being a part of our team can provide a rewarding, long term career for the right candidates. Competitive salary based on regional standard and experience. Opportunity for continuing professional development e.g. trainings and seminars. One way or two way air ticket depending if contract is renewed. Singapore is a modern and vibrant city, located at the doorstep of beautiful South East Asia. We are a progressive small animal practice that sees some exotics nestled in a lovely suburban neighbourhood. We are in search of an enthusiastic veterinary colleague with some experience to join us. New and recent graduates are also welcome to apply- for whom there will be a mentoring process. The successful applicant will be settling in a friendly environment, well supported by an energetic team of nurses and experienced veterinarians. Our principal is an Honorary Fellow of the University of Melbourne and has a special interest and qualifications in aquatic medicine. The practice was established in 2002 and is still growing. If you are looking for stability and working with seasoned colleagues who find fulfillment in their vocation, our practice is the right one for you. We make full use of all our equipment, which include the full suite of Idexx blood machines, Ultrasound, Radiography, Gastro-scope, Cryosurgical equipment, Tonometry, etc. Specialist referral or opinion where required, is straightforward and quick, and includes a US based radiologist. Looking for a new experience? Animal Doctors is looking for enthusiastic and adventurous Vets! Animal Doctors International operates clinics in both Vientiane, Laos and Ho Chi Minh City, Vietnam. We are always looking for enthusiastic and dynamic veterinary surgeons to join our growing international team. Our clients are a mix of expatriates and locals who place great importance on the health and welfare of their pets. We are a 100% companion animal practice seeing small animals from all over the world. As one of the only full-service veterinary clinics in the country we offer our customers a premium service based at our purpose-designed clinics in the city centers. Our set-up provides the full range of services and ‘toys’ – digital X-ray, Ultrasound, in-house lab, and dental machine. Our clinics are staffed by 2 international veterinarians and supported by a local veterinary team. We are looking for dynamic, motivated veterinarians for full-time positions with our team. Successful candidates will be motivated self-starters who are adaptable to different working environments. Our positions are usually for a minimum of 12 months (although our vets often stay longer!) and we encourage the opportunity to move within our clinics in different countries. If you are looking for a change and to experience some of Asia’s most vibrant environments, rich cultures and fantastic quality of life this could be the opportunity you’re looking for. We offer the successful applicant locally based remuneration, local transport and fantastic accommodation. If you have a strong background in practice with a membership /fellowship or other similar post graduate qualifications in small animal veterinary medicine. Remuneration is better than competitive, and Singapore is similar in many ways to London or Sydney – a big, fast, air-conditioned, well fed, english-speaking city. Point Veterinary Surgery is a small animal clinic based in Singapore and we are looking for new veterinarians to join the team! We are looking for a full-time veterinarian. Fresh graduates are welcome to apply. We have part-time and locum positions as well. Te Are Manu relies on the generosity of incredible volunteers from all over the world to staff our clinic and provide quality veterinary care to the animals of Rarotonga and Aitutaki (and covering the Cook Islands). We have a beautiful new clinic based in Arorangi and welcome all our volunteers with open arms and a friendly Cook Islands welcome! We are looking for volunteers for 2019 who are keen to help our local animals whilst also having the opportunity to enjoy a stay in paradise. Your volunteer experience will see you have time to gain experience and exposure to varied caseload. Previous volunteers have said Te Are Manu is a wonderful place for clinical professional development. Our services include seeing patients for skin conditions, nail clips, road traffic accidents, dog bite and other wounds, fish poisoning and a high volume of spey and neuter surgeries. You will also get to explore the beautiful place that we call home. We like volunteers to stay for a minimum period of two weeks but please contact us if you can only stay for a shorter period and we willl see if we can accommodate that. There is no maximum stay with us. Come for a year if you like! We arrange all visa requirements for entry into the Cook Islands. We greet volunteers at the airport and make sure they get settled in to our beautiful volunteer house just a few minutes away from the clinic and on a stunning beach - great for swimming, snorkeling and relaxing. Come and work with us in the beautiful Fiji Islands! SPCA Fiji Islands is in the process of reinventing itself. An all new, dynamic and committed committee is steering the 65 year old organisation into the future. We need you to help us get there. The SPCA is the only animal shelter in Fiji’s capital city of Suva and in the whole Southern half of the main island of Viti Levu. We are a small but busy, not for profit animal shelter and clinic. The shelter temporarily houses strays and surrenders for rehoming, while our clinic aims to both support the shelter and provide affordable services to local clients. We are urgently in need of vets prepared to primarily help us with spays and neuters and to attend to emergencies as they arise. We have a team of capable vet nurses and assistants and a basic but adequate surgery and clinic. We are currently fund raising for a new X Ray machine. Join us for a couple of weeks or stay for longer! SPCA will organise permits for volunteers and provide you with accommodation close to the centre of Suva. You’ll be welcomed with famous Fijian hospitality. Met at the airport and settled into your accommodation and role at the shelter. These will be experiences you will carry with you for a life time! Please contact spcaec@connect.com.fj in Suva, Fiji for further information and to obtain the volunteer package. Santisook is Thai run, non-profit organization committed to serving a lot of dogs and cats living in Chiang Mai area. We run a dog shelter and a cat shelter, re-homing hundreds of animals annually, provide emergency care to strays, work with local monks in helping their resident temple dogs, provide TNR services for local government and local caretakers who feed the strays, and offer subsidized sterilizations for the dogs and cats of the very poor. We are in need of Vet volunteers all year round. Veterinarians with a strong spay and neuter background who can commit to a longer stay are highly valued. Veterinarians who are wanting to improve their skills for spay and neuter and new graduates are very welcome. We conduct TNR programs within Chiang Mai and the surrounding areas when we have enough vets. Volunteer vets work together with our Thai vet when we have TNR programs. On regular days, they help on the treatment of our resident animals and emergency rescue care. For more details about KWPLH and the vet nurse position please email us! We are in need of help from a new vet in 2018-2019. The position is preferably for 6-12+ months or longer. Housing and food is provided. Couples are also welcome to apply. Sama Veterinary Clinic is operating since 2013 at Muscat, the capital city of Oman. Within 5 years we expanded the 3 branches in 2 different cities in Oman. We offer attractive salary package with Medical Insurance and benefits. Egypt Equine Aid (EEA) is a registered Australian charity created in July 2014. It operates an equine veterinary hospital for local working horses & donkeys in Cairo, Egypt run by donations of international EEA supporters. The aim is to take care of sick and injured animals, treat them and give them the possibility to rest on the farm until they have fully recovered. Education of the owners and the local community are a major part of the daily work to improve animal husbandry and raise the awareness for animal welfare. In addition, an important aspect of our education outreach is offering practical experience to local veterinary students, as well as providing continuous professional development opportunities to Egyptian veterinarians. A mid- to long-term residential equine veterinarian who will lead the daily clinical work. This includes morning treatments, stationary patient care, assessment and treatment of walk-in patients as well as some limited client communication (English speaking interpreter working at the clinic). A certain level of experience in equine practice is crucial for this senior position. Ideally, the person will be interested in animal welfare and developmental type of work and likes to be challenged by difficult medical cases and situations, undoubtedly always well supported by our local team. Volunteers with medical background for mid-term stays are also welcome. Retired or traveling vets needed. Housing and modest stipend provided. Animal Aid Unlimited is a charity serving ownerless/abandoned street animals in Udaipur, Rajasthan India. About 75% dogs, rest is cows, donkeys. The shelter is about 3 acres of rented land on which 600 animals are housed, and treatment is usually rendered outside close to where animals are housed. Among those in the shelter, 500 animals are in treatment. We have 1 Indian surgeon, 5 experienced vet nurses. We also have a spay-neuter surgery with 80 kennels in a nearby location.We have 80 paid Indian staff (with very limited or no English) and daily volunteers, mainly from outside India. We need vets with either, or both surgery or shelter animal population management interest and experience with a minimum of 2 years work experience. Vet will live and work in Udaipur, Rajasthan, -- a beautiful, rustic, traditional part of India in the shadow of the ancient Aravalli mountain range. Please watch a few of our rescue videos on Youtube, (channel is Animal Aid Unlimited, India) and you'll get a sense of the hospital setting. Send resume and cover letter to erikaabrams@yahoo.com. Next step is Skype interview. And then the adventure begins! We run mass canine vaccination campaigns in the world’s rabies hotspots and are looking for vets to join us! You’ll be part of the team vaccinating dogs, recording population data and working with the community to ensure we reach the required 70% vaccination coverage to establish herd immunity. Help us save human and canine lives – volunteer today for projects in India or Sri Lanka! No previous experience required. Have you ever thought of working in beautiful British Columbia, Canada? Pacific Coast Veterinary Hospital is looking to grow and strengthen our team with a Full Time Associate Veterinarian. 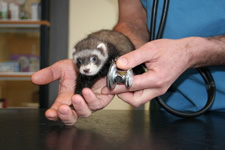 We are currently a two doctor small animal practice with a growing support staff. Prince Rupert BC is a quaint coastal community surrounded by stunning wilderness. We offer a flexible schedule to allow plenty of time to enjoy an abundance of outdoor recreation activities to fulfill your sense of adventure. We are looking for an outgoing and compassionate veterinarian who enjoys practicing high quality care in a collaborative team environment. Experience is preferred, with a proficiency in surgery. We are the only clinic in town, so you need to be comfortable managing complicated medical and surgical cases with a positive, “can do” attitude. The ability to work in a fast-paced environment while maintaining a sense of humour is a must! We offer digital radiography, digital dental radiography, and in clinic blood analyzers, along with a great support team to help. We also support animal rescue organizations in our area by providing spay/neuter and vaccine services. We offer competitive wages and comprehensive benefits. There is the possibility of buy in for the right individual. Relocation assistance is available to those who qualify. We run mass canine vaccination campaigns in the world’s rabies hotspots and are looking for vets to join us! You’ll be part of the team vaccinating dogs, recording population data and working with the community to ensure we reach the required 70% vaccination coverage to establish herd immunity. Help us save human and canine lives – volunteer today for projects in Malawi, Uganda or Tanzania! No previous experience required. We are looking to fill the role of Vet at our wildlife centres in Bolivia, with imminent start dates. This position would suit a person looking for a career in wildlife vet medicine. The role requires autonomy and organization in carrying out the daily routine, which involves cleaning, preparing food, checking the animals and overseeing the volunteers’ work as well as the day to day running of the clinic. The vet must have a strong level of teamwork, responsibility and initiative. It is essential that the vet understands the work and the importance of keeping the animals in good health. There will also be times that the vet has to aid the head veterinarian in treating human patients. The main goal is that the animals receive the best possible care and attention in the most efficient way possible. Candidates should have a strong interest in wildlife, a veterinary related degree and at least 2 years of experience in the clinic (competent in routine surgery such as castrations, ovariohysterectomy, amputations etc.) and some experience in large feline care. Candidates should also have at the minimum an intermediate level of written and spoken English and basic Spanish or willingness to learn. Why you are interested in this opportunity. Your CV and at least 3 references. If you require a veterinarian please fill out our registration form to get the best exposure for your advert at a very competitive price. We will accept job positions from any country in the world (adverts in English only can be accepted at the current time). If you see a position that interests you please apply directly to the clinic. Make sure that you are eligible to register as a Veterinary Surgeon or nurse in the applicable country prior to applying for any jobs.